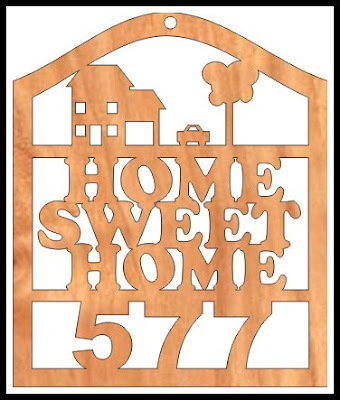 Customize this Home Sweet Home plaque with your house number. The number template is included with the pattern. The plaque is 8 inches tall and 7 inches wide. I am on vacation next week and really looking forward to the time off. We have been so busy at work that I have not been able to get much time in my shop. I have a few ideas for new patterns that I want to work on.